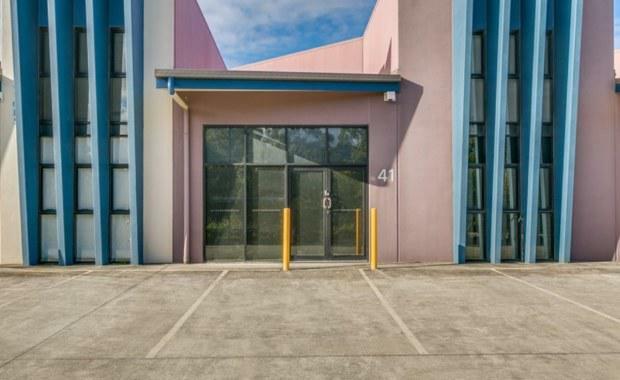 A tenanted warehouse/office in the hub of one of the Gold Coast’s thriving industrial suburbs has been put on the market. The open plan warehouse with a mezzanine office space is located at 41/38 Kendor Street, Arundel, and is being marketed by Ray White Industrial Gold Coast Team Leader Steve Macgregor and Sales and Leasing Executive Lachlan Marshall. Mr Macgregor said the 162 sqm property includes a showroom and reception area with glass shopfront, providing an array of business potential within such a great location on the Gold Coast. “The complex has an ideal location, with easy access to Brisbane Road and facilities and it is only 15 minutes’ drive from the Southport CBD and close to most of the major arterial road networks,” he said. “This particular region of the Gold Coast is seeing a constant rise in its population and business prospects, as neighbouring companies such as Billabong, Star Track and Bunnings are all utilising the convenient location and train networks. Mr Marshall said the current tenants take advantage of local trade opportunities along with close proximity to warehouses and manufacturers and local facilities.